When you first walk in the door you see a bike overloaded with animated mechanical animals and electronic gadgets. You could spend 30 minutes watching and discovering gadgets on the bike, but there’s plenty more to see. 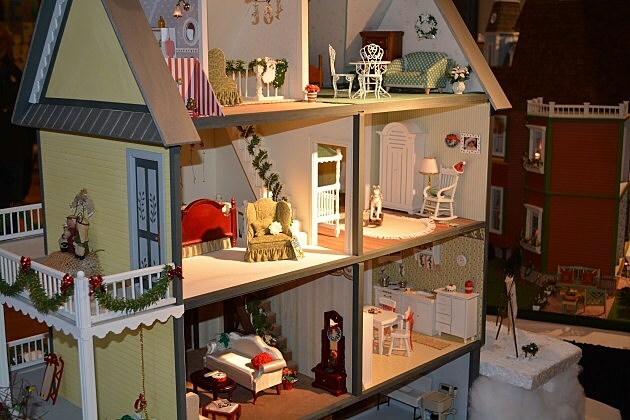 A collection of Victorian Doll Houses with amazing detail. You’ll also find an instructional scavenger hunt that accompanies the doll houses.